SubBerlin is the story of one of the world’s most legendary clubs retold by its protagonists: Jeff Mills, Juan Atkins, Blake Baxter, Mr. C, DJ Rush, Mark Reeder, Dr. Motte, Josh Wink, Chris Liebing, Regina Baer, Johnnie Stieler, Sven Vath and of course club-founder Dimitri Hegemann, as well as countless other regulars, DJs and clubbers alike. Gripping images and authentic voices entangled to retell this breathtaking story, combined with the frantic sounds of a restless youth finding itself in a state of newfound freedom. The fall of the Berlin Wall was something no-one had ever expected to be happening so quickly and with such intensity, leaving Germany in a state of euphoria, upheaval and confusion. The years that followed were marked by new-found freedom, chaos, change, and a rush of collective ecstasy. The no man’s land in the centre of Berlin was the perfect playground for a new sound, blossoming in between the cracked concrete of the pre-fabricated socialist buildings and the ancient Berlin apartment blocks still scarred by the gunshots from World War II. Authorities had more important things to do than controlling the rising electronic music scene’s activities, and in an ever-changing environment in the post communist part of Berlin, this absence of law and control would lay the foundation of a new movement, sound, and form of expression. Suddenly, there was a small crowd gathering for the first ever Love Parade, and this was only the beginning... In the late-80s, Hegemann ran UFO, an acid house club in West Berlin until its closure in 1990. Looking for new adventurous backdrops for the new found proto techno sounds, Hegemann and Stieler were touring the centre of former East Berlin in a car when coming across the perfect new location... the basement of a bombed out 1920s building - the Wertheim department store. 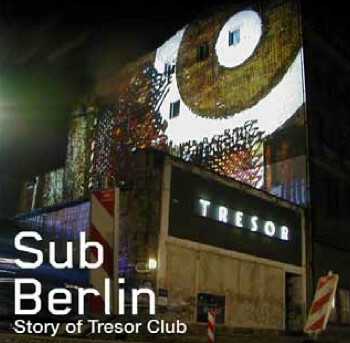 SubBerlin - The Story of Tresor - Official Trailer from Tresor Records on Vimeo. The accidental discovery would lead to a historic breakthrough, and the impact of this finding is what made Tresor, situated in the ex-death strip area, so unique. From the early beginnings to its closing in 2005, the Tresor resonates history being written in real time since its unearthing by Hegemann and his friends. Techno was like a global experiment in real-time, staged in the strobe-lit sweatbox of the Tresor building. The sound made in Detroit would, for the first time ever, find a habitat outside of the close circle of its inceptors who would almost exclusively hail from Detroit, black Detroit. Protagonists like Blake Baxter and Jeff Mills speak about their experience of finding acceptance and being valued in a completely different manner when being flown out to Berlin to DJ. Equipped with a new sound, they would enter the cabin to move and to be celebrated by an almost exclusively German - a mixed East/West German - crowd. One nation under a groove, a different vibe. In the years that would follow, reunited Berlin would become the place to be, a global trend which was generated by the strong recognition of its importance as electronic music capital. Berlin would not be the capital it is today without the driving forces, propelled by the sounds coming out of the Tresor basement. SubBerlin retraces its birth, life, death and resurrection. Out 2nd April.